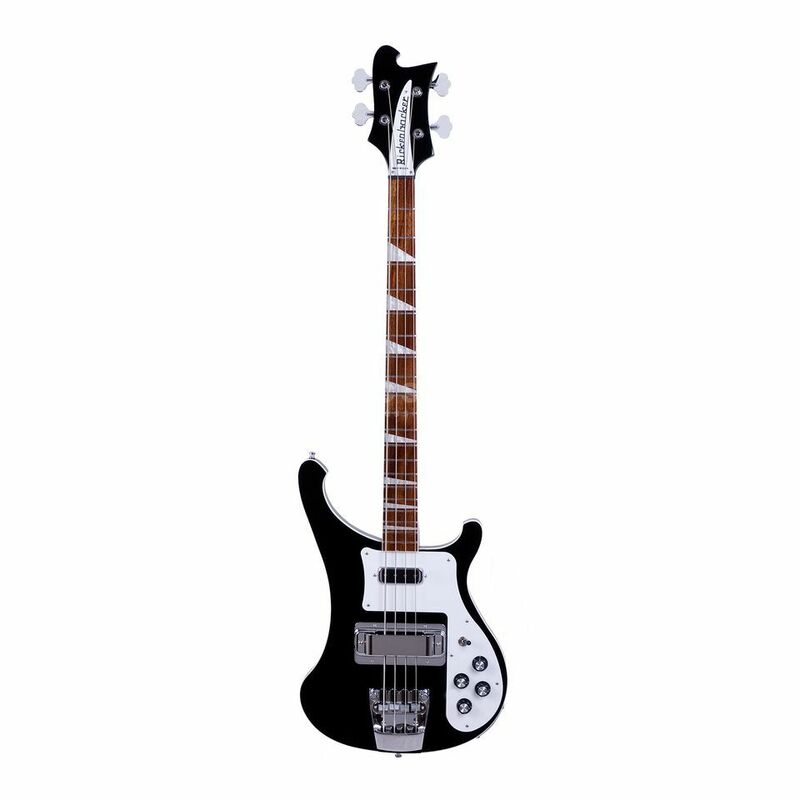 The Rickenbacker 4003 in Jetglo is a 4-string bass guitar that features a classic look that wouldn’t be out of place on any stage throughout the world. The Rickenbacker 4003 features a solid Maple body and thru-neck that combine to produce the punch and sustain that have made it one of the most sought-after basses among players since the original models release in the ‘60s. The neck is topped by a bound 20-fret Rosewood fingerboard that is fitted with the brand’s iconic triangular inlays. The body of the Rickenbacker 4003 4-string bass guitar is fitted with a pair of single-coil pickups that are connected to a unique tone and output circuit that allows for both mono and stereo operation. Joining the pickups and tone circuit are a Rickenbacker bridge and tailpiece combo that greatly enhances tuning stability and a set of Schaller Deluxe tuners. This guitar is the legend. One of the few instruments which have its own tone, some people call it "grand piano on the neck". The tone is unrepeatable. The list of coumirs who played it is long - Paul, Waters, Rutherford, Squir - to name just a few. Some fellows ( I think they are simply too young ) say it looks old-fashioned. Tone knobs, pick-guard, pick-ups. Come on! When you take this guitar its like you pet a dinosaur :)) Rick makes this axe exactly the same as they did 40 years ago. Well as an instrument Rick is very comfortable, the neck is fast, and sustain is endless.I have many bases, but Rick is the chairmen of this company. Yes, pricey, but if can afford it you wont be disappointed.